Their plants can be medicinal, edible and often beautiful. 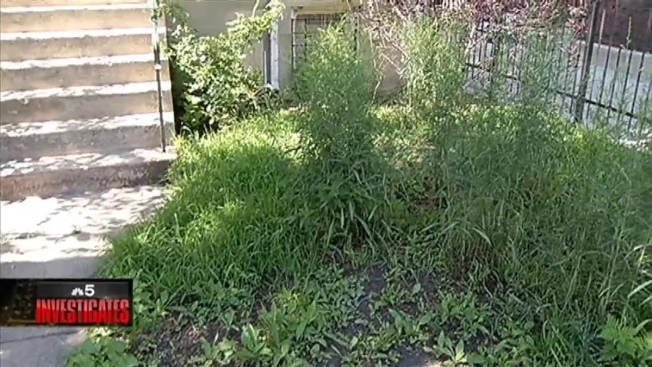 But a growing number of gardeners who tend to wildflowers within Chicago city limits claim in court papers they are being unfairly targeted by a "vague" weed control ordinance they call "unconstitutional". The gardeners want city leaders to partner with the Department of Streets and Sanitation to protect native plant gardens from citations alleging violation of the ordinance. They said some city employees tasked with writing the tickets may not be able to spot the difference between native gardens and unsightly, unwelcome weeds. "I guess when we talk about weeds, we talk about something we don't like and I think we need to change our thinking about that," said Kathy Cummings, a gardening enthusiast who received a mayor's award for her naturalized landscape in 2004 but was cited in violation of the weed control ordinance in 2012. Cummings claims the plants in her front garden are 100% native. But she was ordered to pay a $640 fine after she claims a judge ruled that the tall milkweed plants in her front garden were unmanaged weeds. According to wildflower experts, milkweed is considered to be a native plant if it is one of a species that existed in the area without human introduction. Cummings refused to pay the fine and later filed a lawsuit against the city. Other ticketed gardeners followed with their own complaints in court and a lawyer that represents them filed a motion for class certification. Weeds are growing into a major source of revenue for the City of Chicago, according to results obtained through a Freedom of Information request filed with the city's Department of Finance. Weed control ordinance violations netted $6,031,954 for the city in 2013. In fact, the amount of ticket revenue has grown steadily each year since 2009, when collections totaled $1,647,306. Penalties were increased for violations in 2010, from a range of $100 minimum to $300 maximum, to a new range of $500 minimum to $1000 maximum, according to court filings. The city's rules and regulations for weed control defines weeds as vegetation that is "not managed or maintained by the person who owns or controls the property on which all such vegetation is located and which, on average, exceeds ten inches in height." There were 14,576 weed control ordinance violation cases filed with the Department of Administrative Hearings in 2013, according to city records. So far in 2014, city employees have issued 6,672 weed ordinance citations. "The Department is diligent in monitoring all neighborhoods in Chicago for overgrown weeds as weeds impact the beauty of our communities and pose real health and safety concerns, including providing harborages for mosquitoes and rodents," wrote a Department of Streets and Sanitation spokesperson in response to our request for comment. The city often promotes native plant gardens with roots that dig deep into the soil. The gardens have been known to help reduce flooding and keep basements dry. Alderman Ameya Pawar (47th Ward) has been in contact with some of the concerned gardeners and he said he is a supporter of native gardens. But he said the city is not trying to generate revenue by promoting something and then ticketing it. "I think these are honest mistakes," Pawar said. "The Department of Streets and Sanitation recognizes that." According to Pawar, amending the code would be easy but he stressed the issue concerning native plant garden citations could be resolved through more city employee training. "Making sure people know the difference between sort of an overgrown lot and a native garden," Pawar said. Cummings added freedom of expression is at stake. "Artists get to do it," Cummings said. "Gardeners should be able to do it."